This post isn’t even remotely crafty or nerdy, so for those of you who follow the blog for my craft projects or nerdy rambles, I’m sorry. If you’ve been following the blog for a while, you’ll notice that I do occasionally talk about my life here – and, well, some pretty big stuff has happened in my life recently. 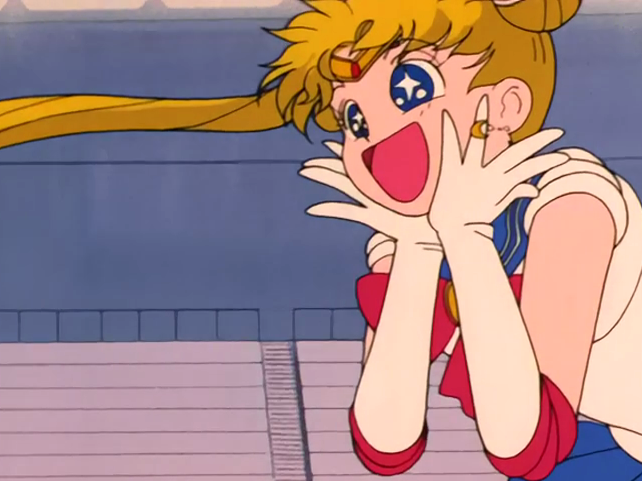 The biggest thing: I GOT MY DRIVER’S LICENSE. 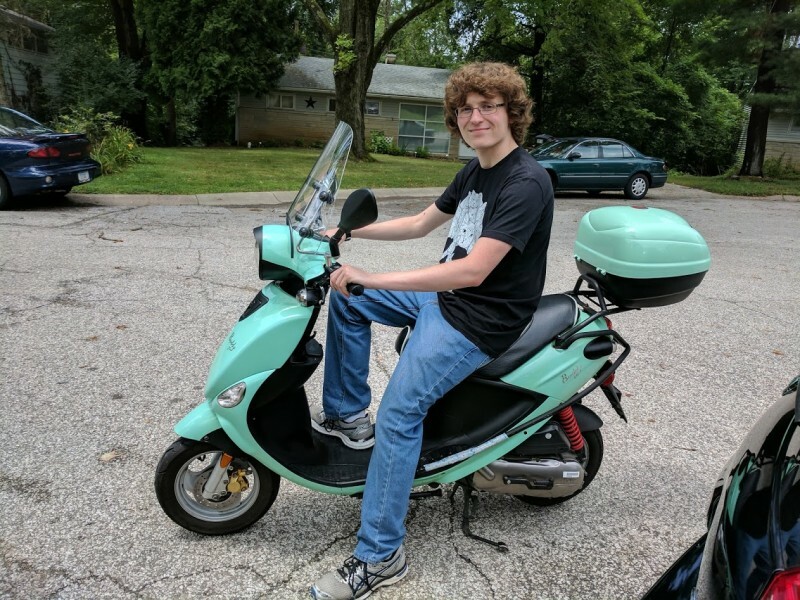 Yes, after seventeen years of anxiety, terror of piloting a vehicle at speeds faster than 20 mph, three scooters, one moped, and two cars, I’ve finally got my driver’s license. At the ripe old age of 35. But I did it. 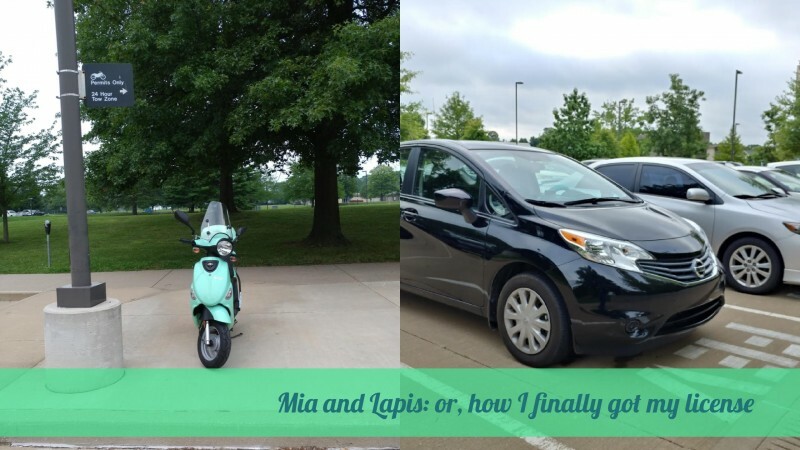 Which means Lapis actually gets out of the driveway now, more often than the once-a-month trip to Kroger when I’d feel brave enough to navigate the perils of a parking lot. Lapis, on her first day at the office. 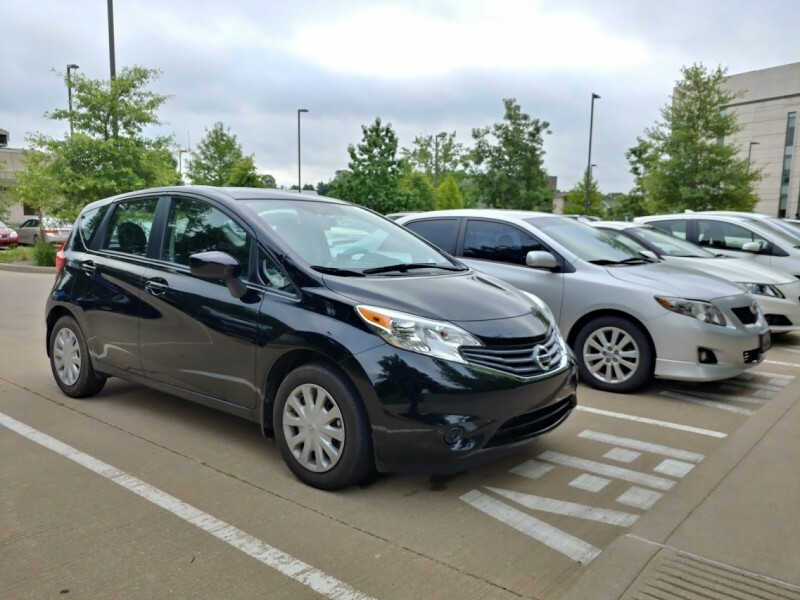 Wooo, fuel efficient vehicle parking! But what does that mean for Mia, you ask? Are you going to keep scooter commuting? What’s gonna happen to Crafty Nerdmobile 2.0? Mia on her last day at the office, sans decals. 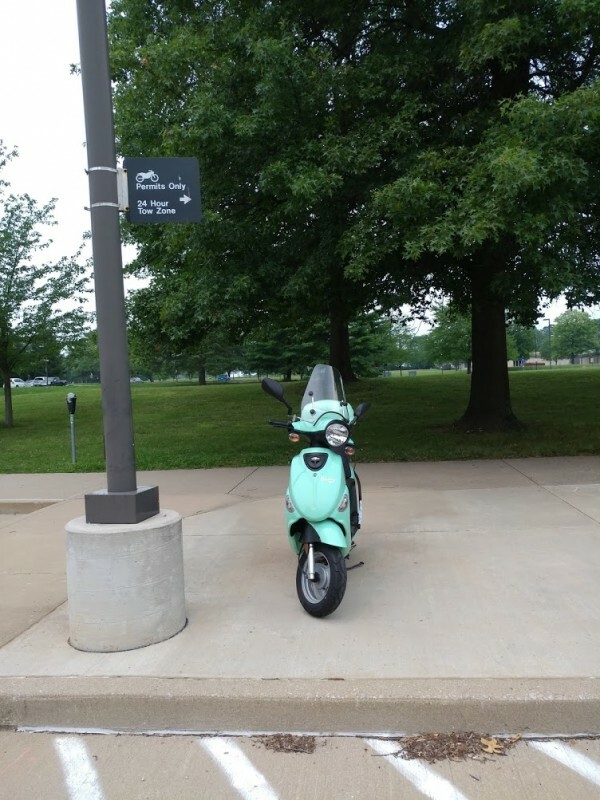 Well, Mia’s actually already at her new home, with my in-laws: my brother-in-law Damion is the newest scooter commuter, as he’s going to ride Mia around Purdue come the fall. It’s kind of the end of an era – back when I first got Mia, there were tons of little seafoam green Buddies all around Bloomington – enough that a few of us got together and called ourselves the Seafoam Buddy Brigade, haha. Now, the last member of the Seafoam Buddy Brigade is headed off on new adventures. 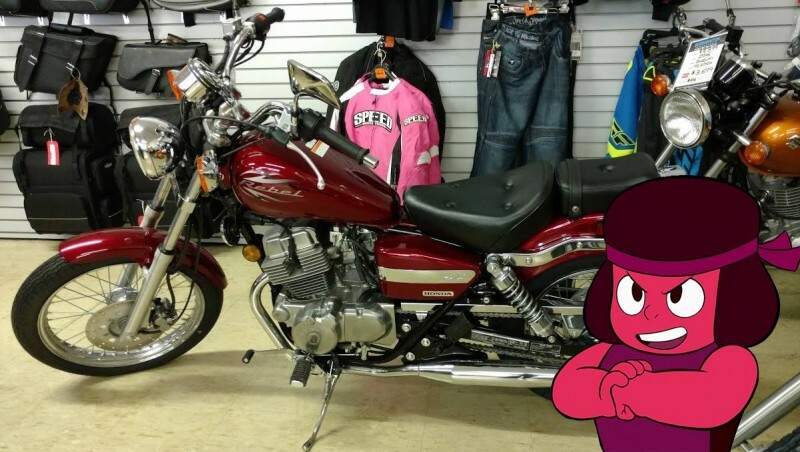 Yeah, I’ve got a motorcycle named after Ruby from Steven Universe. I know you’re not surprised. Next week, we’ll be back to the usual crafty nerdiness, I promise!